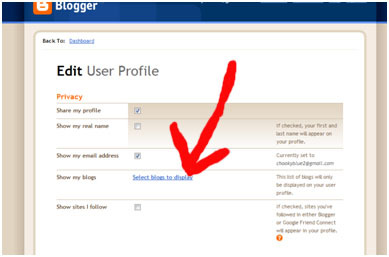 when you are in the "dash board"
on the left click on "Edit Profile"
where the red arrow is it says "select blogs to display"
click on this and then another box opens up and will show the blog names listed and just untick the blog you don't want to show..............."save the settings" then you're done. Thanks for the helpful tip. Will go check my out too.